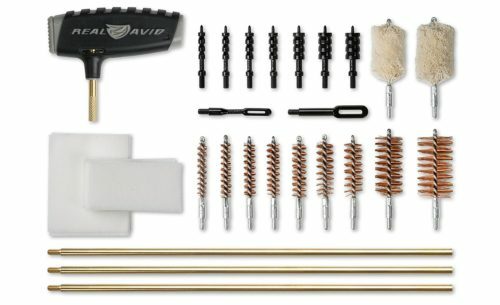 Are you looking for one gun cleaning kit for all your guns? 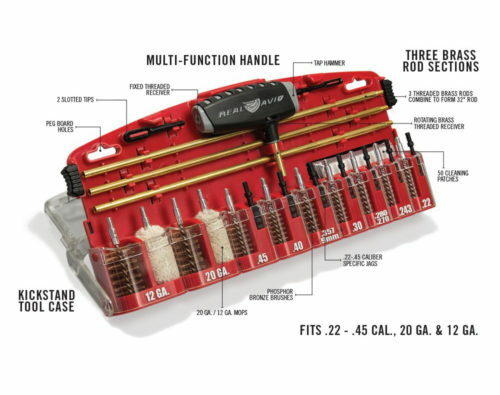 Everything you need to clean handguns, rifles and shotguns. 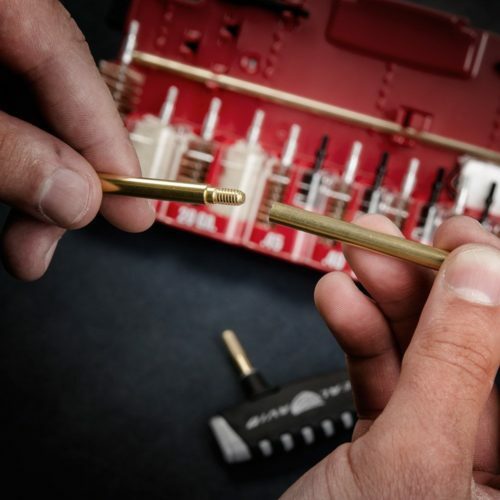 Ergonomic multi-function rod handle and segmented brass cleaning rods make cleaning a gun bore safe and easy. 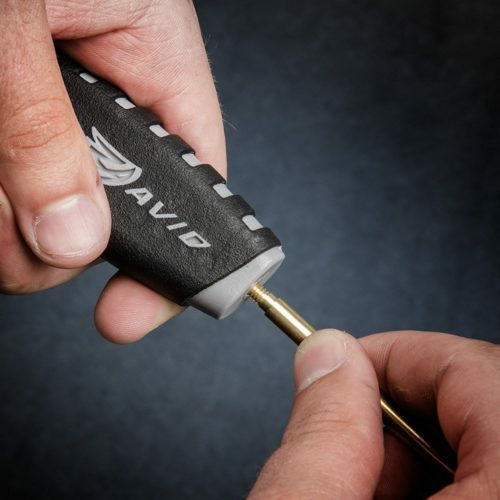 The kickstand case is a great idea from Real Avid. It keeps everything organized and easy to access. Let’s take a look at the pieces in this kit. 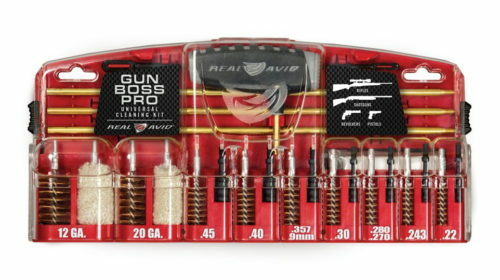 Multi-purpose ergo rod handle, patch jags for 7 calibers, slotted patch tips, bore mops, bronze bore brushes for 9 calibers, 3 piece brass gun cleaning rod and patches. Nice and simple. 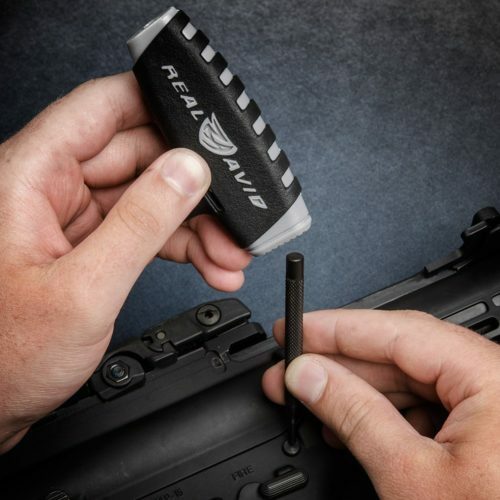 No fancy complicated tools that make gun cleaning difficult. Ergonomic multi-purpose handle is very comfortable and doubles as a light hammer. Brass rods screw into the multi-purpose handle in 2 different positions. 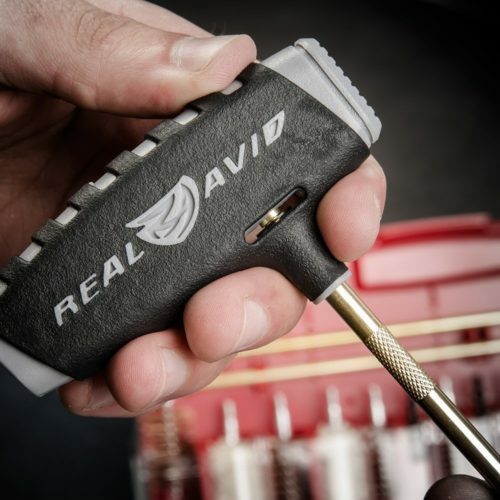 The multi-purpose handle makes a great hammer that will not scratch or dent anything. 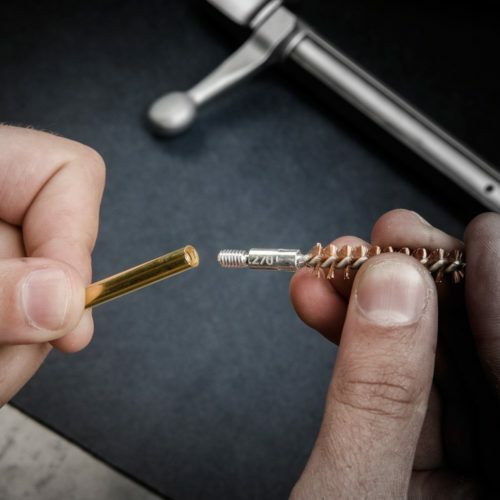 The brass cleaning rods screw together precisely without much wiggle or play. Brass will not scratch your gun barrel either. Here’s the end of the gun cleaning rod where the accessory tips are screwed into. The threads are tight with little slop or play. This entry was posted in Cleaning Kits by admin. Bookmark the permalink.